Empire of Books: Taken Novella due February 2014 - Cover revealed! I've run on and on and on and on about Taken by Erin Bowman. Both on twitter, my review (which can be found here) was a massive gushfest and I am so excited to read the second book, Frozen which is due next April so the news that there is going to be a novella set in the Taken world has me one very happy and excited boy! AHHHHH! Just look at it. So beautiful. It's a shame Kindles don't have colour screens but it'll still look epic! "Before Gray Weathersby uncovered the truth about Claysoot and the Laicos Project, a girl named Bree came of age in the coastal settlement of Saltwater—and made her own surprising journey to the world beyond its borders. 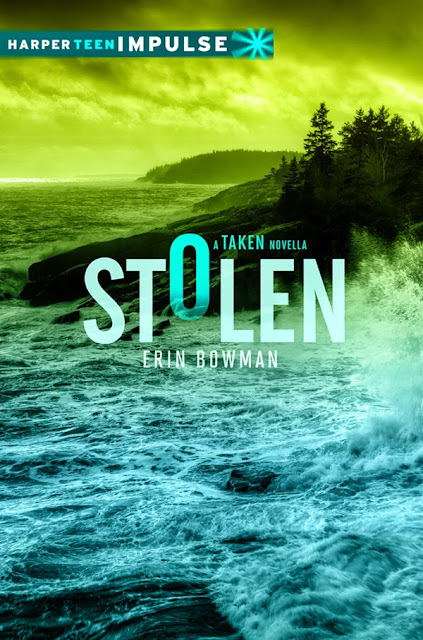 In Stolen,discover the story of Bree’s life before she was Snatched from her home, before she joined the rebellion, and before she met a boy named Gray…"
I for one shall be sat with my Kindle in hand come release day just waiting for it to download!